"Emerald Bay State Park" One of the many awesome places in Lake Tahoe. 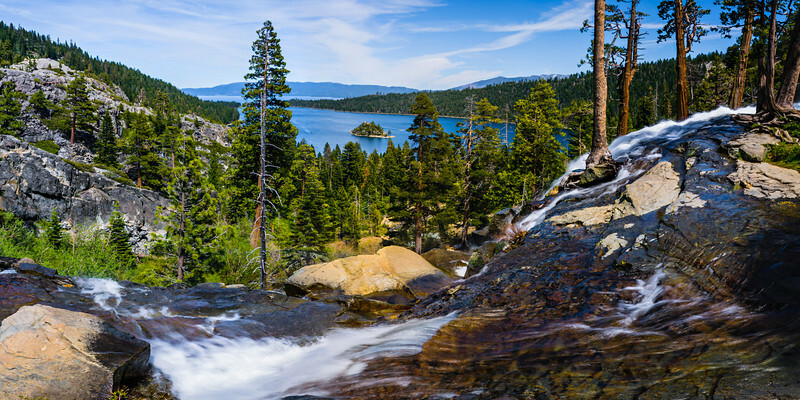 Eagle Falls and Emerald Bay State Park with the Vikingsholm and Fannette Island. The hiking around there is fantastic with the Desolation Wilderness trails. Add this to your places to go while in Lake Tahoe!